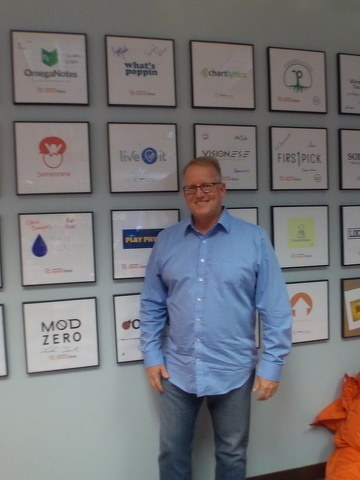 Kerry Small, pictured above, and his team interviewed 60 companies and surveyed 2,000 students to develop the Live It program. It won’t be long before local kids are heading back to school, where they will begin another year of checking off boxes: completing homework, taking tests and striving for good grades. As they work to meet each academic standard, what exactly are they learning about themselves? How are their experiences preparing them for life after graduation? Who will stand out to colleges and prospective employers? These are important questions that a local startup company, Live It, is striving to help students answer. Here’s how Live It might work in a school setting: After students participate in an academic or extracurricular event such as a science fair or a service project, they are asked to journal about it in a short entry on their Live It page, explaining what they did and what they learned, and tagging the entry with different soft skills or traits that they feel this particular experience taught them or helped them display. Students share what they wrote with their teachers and guidance counselors, who offer positive reinforcement and can see where students’ strengths and interests are. Counselors can then use this information to help these students find the best fit when they start looking at colleges or other opportunities. Like a social media network, the Live It pages students create remains theirs to maintain for the rest of their lives, meaning they can share them with college admissions offices and prospective employers in the future. Based largely on behavioral science research from the College of Health and Human Development at Penn State, Live It was initially developed for the higher education market, but has recently taken off at the kindergarten through 12th-grade level. Penns Valley Area School District has been a pilot school, using Live It for more than a year with its fifth-graders, juniors and seniors. According to Connell, the students have responded well to the concept because they love anything electronic. Because they are so familiar with social media and the online world, these students have been able to offer valuable feedback to the company about ways to improve the program and make it even more user-friendly. Live It is not just being used locally. It’s also being utilized in charter schools and in International Baccalaureate programs as far away as Kenya and Nicaragua, and in large school districts inside the United States, such as Metro Nashville. According to Small, another market that is now testing Live It is the youth programs market — specifically, organizations who work with youth inside the juvenile justice system. “These are kids who are on a pathway that, without intervention, may lead to some bad outcomes,” Small said. “So, when Live It is used within a 90-day rehabilitative program, it helps these kids reflect and understand that they have gained great traits, like grit and perseverance, through all of their life experiences, (and) they just haven’t had a way to capture and understand that, much less articulate it to a potential employer. Getting kids ready for the real world has been Small’s passion for a long time. A State College native and Penn State alumnus, he started his career like many new college graduates in the late-1980s: working for a large corporation. In his case, he worked in sales and marketing for Marriott Corporation before moving on to a logistics company in the early 1990s. That was the last time he worked for someone else. In 1994, he started his own trade show shipping company, Northstar Express, in Washington, D.C. He sold it in 2001 in order to move his young family to State College in search of a better quality of life. So, while still running Greenway, Small decided to open SURGE (Supporting University Growth and Entrepreneurship) Business Development. Its purpose was to help other university-based startups get off the starting blocks while giving Penn State students crucial hands-on experience. To determine what kind of experience he should be offering student interns, he met with career services administrators and internship coordinators from Penn State. They told him they wanted students to get real world experience, be challenged, have successes and failures and receive mentoring feedback. At first, the students working at SURGE took on marketing projects for what Small called, “low-risk environments; small organizations who were appreciative of any help we could give them.” Gradually, SURGE was asked to do work for larger entities, including the U.S. Air Force and Navy. Small kept the students at the forefront of all of the projects, where they made important decisions, interacted with managers of companies and did the work. Eventually, a project for the university surrounding the idea of student engagement led Small to open yet another company called Rattle the Box, centered around a gift card that Penn State students could use to have various experiences in the State College area as a way to get them engaged with the community. This experience-giving gift card was well received and funded by large companies such as PepsiCo, and Small had a chance to take the company to the next level by expanding it to different university markets across the country. But, that wasn’t where his heart was. Rather than gifting one-time experiences, Small says that he knew that what he really wanted to do was help students make the most of the experiences they were already having. Thus, Live It was born. With the seed of the Web-based portfolio idea germinating, Small and his team did some thorough research, interviewing more than 60 companies, surveying 2000 students and meeting with instructors, administrators and leaders from 100 student organizations. “An enormous amount of research went into this before we even started coding,” he said. Today the Live It team includes chief operating officer Darin Nicely, a former school superintendent and principal who is based in Washington, D.C.; project manager Christine Ona and product manager Ricky Jaberin, both 2016 Penn State graduates; and approximately 30 student interns who have contributed over the past four years. Small plans to keep the company headquartered in State College as it continues to grow, but thinks it is also likely they will add more offices in Philadelphia and/or the D.C. area. Small sees potential for Live It to have practical application in many other markets, including for military personnel looking to enter the workforce. But in 2017, he can no longer hide. 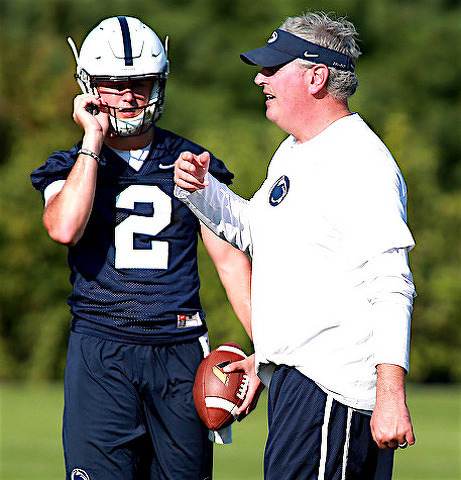 Penn State's backup quarterback has the potential to be one of the bigger surprises in Joe Moorhead's offensive bag of tricks. But he isn't all that easy to miss. After all, he's 6-foot-4 and nearly 230 pounds. And come to think of it, he's not exactly hidden, either.